We discover colour in the world around us each day… it can be subtle or dynamic! Colour is SUCH a Powerful element to create with. There are many theories about how Colour effects us! Some say we can even “Smell Colour”– yes that’s right! ….. we all experience colour uniquely! Enjoy the world in living colour! Yellow is full of Energy and Freshness! 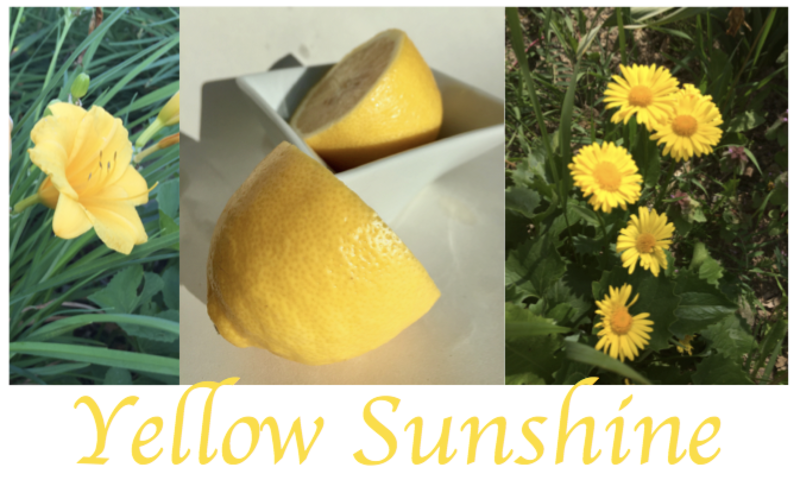 A powerful burst of Sunshine, a ray of light or a hopeful yellow ribbon tied to a tree! 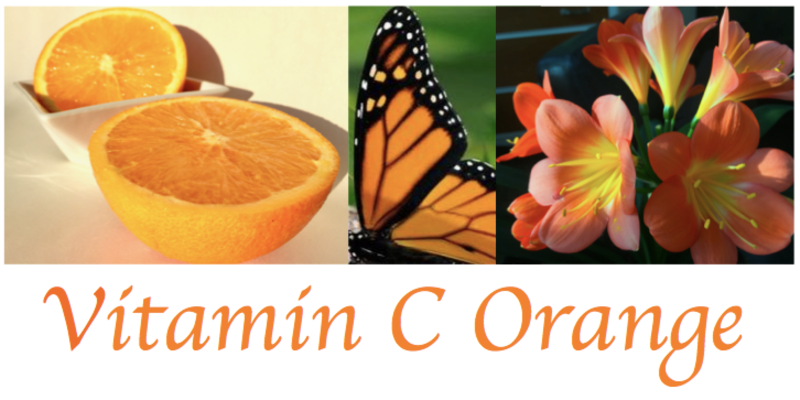 Orange is a youthful dose of zesty vitamin c! Orange can be a fun colour of festivities, harvest and always uplifting! Reds in nature are so exciting, powerful and luxurious! Red berries are full of essential vitamins and are among the highest sought after produce department item! Magenta is a very special transformational hue, it specially sits between the shortest and one of the longest spectrums of light. Its is sort of a shade of purple and red- yet pink-ish! To me, and my colour colleagues, this is our Neutral! In fashion it just lives on its own and just works! Lavender in nature is quite magical if you ask me! Historically the colour associated with royalty and often used in ancient apothecaries, and today we harness it’s powerful therapeutic properties for essential oils to calm & relax us, cleanse our bodies and our minds! Blueberries, acai berries, blue cornflowers and some rare lavender flower types are blue! Blue is often a delicate hue in nature, but where would we be without a fresh breezy summer blue sky or a cool dip in the lake? Freshness of green is associated with spring, new growth or often paired with symbols of the earth or Eco Living! Always be sure to eat your greens! Spices & Coffee are 2 key essentials in my kitchen! Coffee wakes us up in the morning with that unforgettable aroma! Spices add flavour and rich layers of dimension to our taste palette as well our nostalgic sensory. Spices can add an eclectic variety and sophistication to a masterful dish!